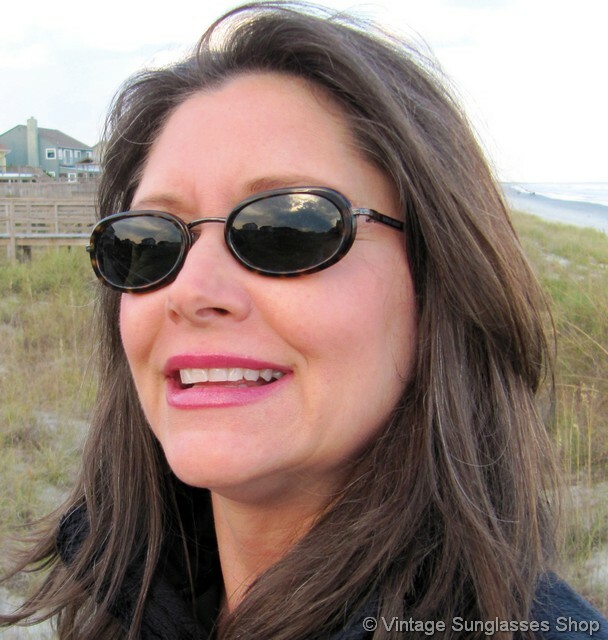 1 Vintage Giorgio Armani 672 1082 sunglasses feature the much desired Armani Italian tortoise shell frame and ear stems that have yellow highlights and really look great with all skin tones. 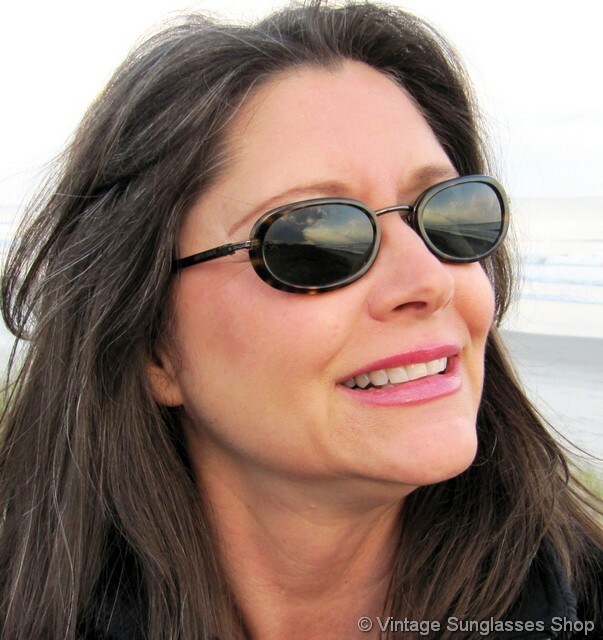 The thicker than norm front frame is a distinctive Armani design trait, and we love the oval lens shape that measures approximately 1.875" x 1.125" at the widest points. 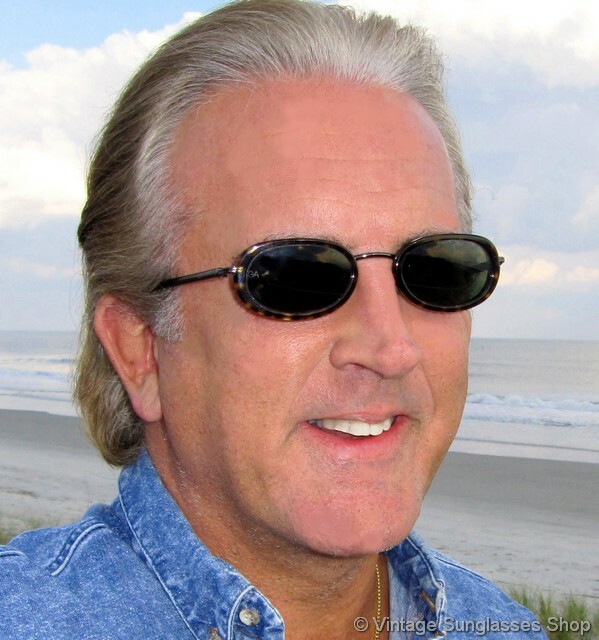 The unisex Italian frame measures approximately 5.25" temple to temple, a perfect size for use as men's or women's sunglasses. 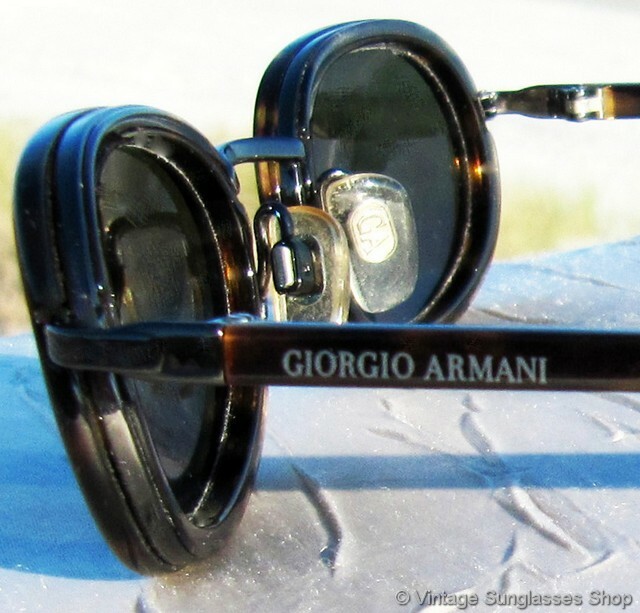 You'll find the Giorgio Armani logo subtly embossed on the outside of both ear stems, and the inside of one stem is marked Giorgio Armani Made in Italy while the other stem is marked 672 1082 140. 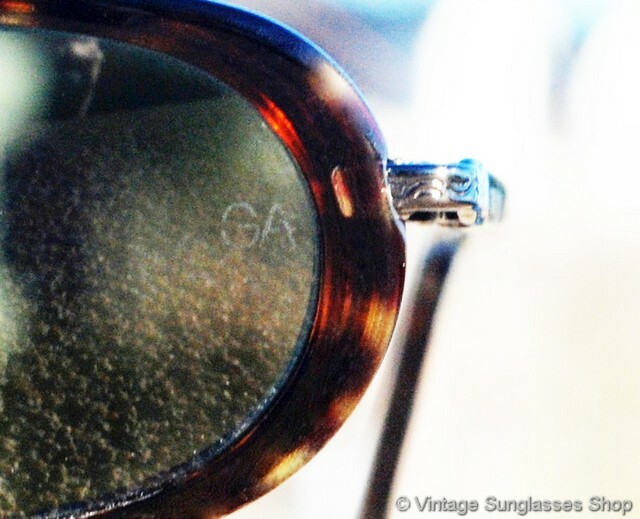 Both lenses are laser etched GA near the hinges and the original celluloid nose pads are also marked GA, part of a Beverly Hills, CA assortment of fine vintage sunglasses. 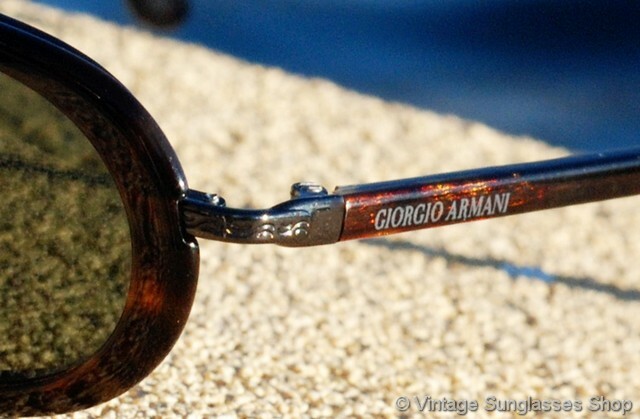 2 Step up another level beyond our already unequaled vintage condition standards with new old stock Giorgio Armani 672 1082 sunglasses in mint, unworn condition.